I was frugal by birth perhaps. I was born in to a frugal family. There are many who turned in to frugal by their own choices. On this blog I talk about getting reach by being frugal, by saving one cent at a time and by earning one more cent at every opportunity. Chris, our guest poster today, has a catchy blog name “Spend it like Beckham”, if you are a soccer fan, you must have heard about English star David Beckham, who was famous for his bending, like a banana, free kicks. There was a movie which own academy awards titled – “Bend it like Beckham”. I guess Chris got motivated by that movie title. Anyway, this guest post from Chris, as you guessed – from UK, will talk about how he started saving money. Albeit an accident, but it was a good accident to have. 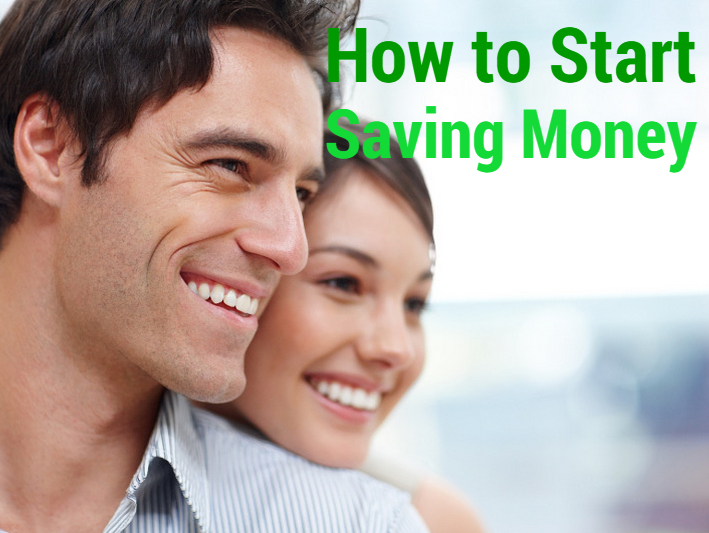 Read as this may motivate you to save money, if you’re not already doing so. Enjoy the post! Often when people ego on a money-saving journey it begins with a decision. The decision to reduce financial outlay, and hopefully watch the money pile up. In my case, it all happened by accident. It all began one day in the bathroom when I was using the scales. Ordinarily I’m a little bit phobic of this contraption – and for good reason: it tells me how overweight I am. On this occasion, it was telling me the usual – that I was overweight. However the amount was only 5.8 kilos (13 pounds, for the non-metric). I resolved there and then that I would lose this weight. After all, it was an achievable amount, and with a little bit of effort I was sure I could easily get rid of it. So I set about losing the weight. · Carbonated drinks. These had become a habit, and it was a habit that needed cancelling. · Burgers, kebabs and fries from local fast food outlets. Tasty? Oh yes. Good for me? Not in the quantities I was consuming them! · Ready made supermarket meals. No control over portion size, fat or sugar content. I opted to stop eating these too. I began to substitute one thing for another. Instead of fizzy soda pop, I’d just have a glass of water. At first this seemed miserable, but now I far prefer it to the syrupy stuff. Much more refreshing! For breakfast I now have porridge. Mere pennies for a big bowl that keeps you feeling full right up until lunchtime! And so on, and so forth. But a curious thing started to happen –the more and more I became a non-presence in the fast-food queue and the fizzy drinks supermarket aisle, the more I noticed my daily expenditure start to slump. And I mean by some measure, too. The lunchtime sandwich plus potato chips plus chocolate bar plus can of fizz had cost me a little bit of money every work day. Replacing it with home-made soup and a hunk of bread suddenly meant cheapness as well as healthfulness. So I took the cue that the cosmos seemed to be sending me, and started to look for ways to save in every corner of my life. Okay, so I wouldn’t say I’m exactly getting filthy rich – but I am in a far more comfortable place financially – as well as being physically more chiseled! Apart from buying food wisely, I made some other long-term money saving changes. I renegotiated or shopped around for new contracts on various things: my cell phone contract, other media, utilities and so on. I also scoured current set ups for savings. In one case I was paying extra for a paper monthly bill when I could just set up a auto payment, forego the paper and save a little every month. Again – quite by accident – I also managed to get myself a savings target. I was looking at a compound interest calculator and realized that, by squirreling away a moderate amount every month, the amount would be quite substantial in just a few years. · Unplugging the wireless router. I used to leave this thing plugged in 24/7/365. Then I found out that the amount of power it uses in standby (while not much) still adds up. In fact it’s only a few bucks a year. But it’s all counting towards my happy place! · Buying travel tickets in advance. Depending on your geographical location and the operators/providers you use, there can be some very tasty savings! · Researching web alternatives. I needed accommodation in the beautiful Hungarian city of Budapest recently. The usual hotel websites had some good offers. Then I remembered that you don’t need to stay in a hotel and can get a private rental. Ker-ching, more pennies in the jar! It’s been an accidental journey – but I am glad I’m on this road. Saving money has taught me to shop around much more effectively. And it’s made me a much more creative cook (give me some flour and some leftovers, I can now make a very inexpensive pizza). But most of all, money saving has made me happy. Strange, but true!